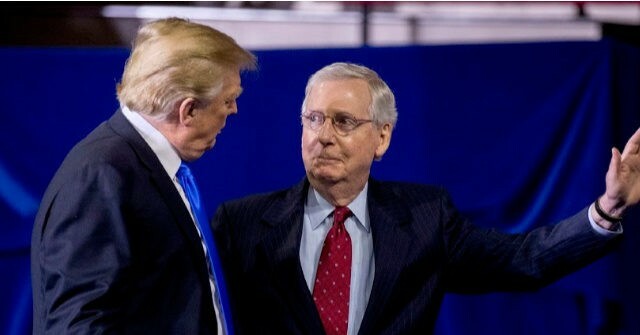 Senate Majority Leader Mitch McConnell (R-KY) told President Donald Trump that the Affordable Care Act will not be repealed or replaced until after the 2020 election. Trump’s surprise at the assertion could not have outmatched Senate Republicans’ own when the POTUS surprised them with a demand for comprehensive healthcare reform with little more than a series of tweets as warning. “Everybody agrees that ObamaCare doesn’t work,” Trump began. According to the president, the GOP is creating “a really great HealthCare Plan with far lower premiums (cost) & deductibles,” which would also be “far less expensive & much more usable” than the 2010 Affordable Care Act, colloquially known as Obamacare. Senate Republican Whip John Thune (R-SD) is a little more skeptical of their chances. “It’s going to be a really heavy lift to get anything through Congress this year given the political dynamics that we’re dealing with in the House and the Senate,” he said.